The perfect dress..ruined…Or so I thought. It’s not too often I find a dress I immediately fall in love with. But every once in a great while–the dress finds me-and I am HOOKED. Well, this glorious feeling occurred last month at my local Bargain Hunt. The perfect lacy white dress. So elegant. SO dreamy. So me. I had to have it. And yes-it was at bargain hunt. Judge if you must. I think anyone else would have donated it after that-but I am no quitter. So I tried to cover it with a brooch, and that was a mess. The hole sat too high on my shoulder to cover it. It looked crazy. So idea number 2 hit–and I am a little proud. Just a little. Ok a bunch. A bunch proud. Don’t laugh. I have so much embroidery floss on hand (not sure why) that I thought maybe I could make something cool to cover up the hole in my heart. Oh…. I mean my dress. The hole in my dress. Here’s another view of this terrible hole in my heart…Gosh I mean DRESS! There is a hole in the DRESS! Now, it isn’t perfect, but I got SO MANY COMPLIMENTS on this dress. Next time, I will buy an embroidery hoop instead of trying to freehand that mess. Gosh that was annoying. But check out what it looks like up close–again–not perfect, but it did the job! Now I have a totally original piece, that makes for a fun conversation when people mention it! Here is what it looks like on–and y’all-you know I’m SMITTEN. What do you think? Pretty, eh? What do you think? What is your creative go-to in fixing outfit problems? Let me know! Mixing patterns–Its a beautiful thing. I&apos;m telling you–this is something you HAVE to get with. Men, women, kids-it looks good on everyone! I am a huge fan of either wearing a plethora of prints–mixing stripes and florals/something edgy and dainty/gold and silver–the list goes on. It all can work-promise! I have been asked several times for this blog post–and I was so excited! Mixing prints is one of my FAVORITE ways to spice up an outfit…and I want to share with you some of my favorite ways to do it! Here is another fun way to do stripes and florals–with your shoes!!!! I adore these shoes. They have a slight edge to them, but still girly with the floral print. Perfection. Ok–this–I have all the heart eyes over this outfit…. Gosh I love me a good army green top–and this one. Y&apos;all-I LOVE IT. With jeans, shorts, or even a dainty tulle skirt–it so gorgeous. You have to try it! And I am a serious believer in the tulle skirt–every lady should own one. You may feel you look slightly like a 4 year old at first–but I promise–They are timeless and classic and oh so dreamy. And you look classy-not at all like a child. You can grab them on the cheap too—I&apos;ve seen them at my local Ross for $12.00!! Oh I also wanted to include a pic with this AWESOME clutch my boss grabbed for me at a market in India–Can you see it? I am so in love with the color…and it&apos;s big enough to hold my phone. Score. Here is another edgy look with a super sweet feel. This is one of my fav fall vests- I wear it over a long sleeve black tee. But I was craving wearing it now–so I broke it out and paired it with my "cupcake" skirt. That&apos;s what I feel like when I wear this skirt–a sweet lil&apos; cupcake–its so fun! And notice–paired with pearls. Of course-my go-to necklace of choice. This is a definite favorite of mine. I love gingham. In every way possible. My mom made this skirt for me and I LOVE IT. Its a high low skirt and is so fun! Go get yourself a gingham skirt and I promise you won&apos;t look like a picnic table. Ignore my shoes in this pic–these are my go to comfort shoes when my feet can&apos;t handle heels. But check out the stud with me…. He has 2 different gingham prints–and looks OH SO HANDSOME. Don&apos;t be afraid to mix prints!!!! More gingham on gingham–and a little tree branch action happening too. I made this bow tie and ADORE IT… Check out the little ham modeling it—he is such a wild man!! Ok dolls, that&apos;s all I have for now— but you can see–mixing prints is such a good thing! I love when people tell me" I never would have put that together–but it looks great!" Or even when I get the back handed " Wow- I would NOT have put that together-but you can pull it off" comments—I take pride in it! That just proves that I am doing what I want to do–and you should too! Dress for you–not for anyone else. Be daring! Be bold! Be wild! And It may push you out of your comfort zone a bit, but all the fun things happen out of your comfort zones. 🙂 And if you wan&apos;t help, don&apos;t hesitate to send me a pic! Follow me on Instagram at @smittenwiththree_blog and I would love to see what you put together!!!!!! 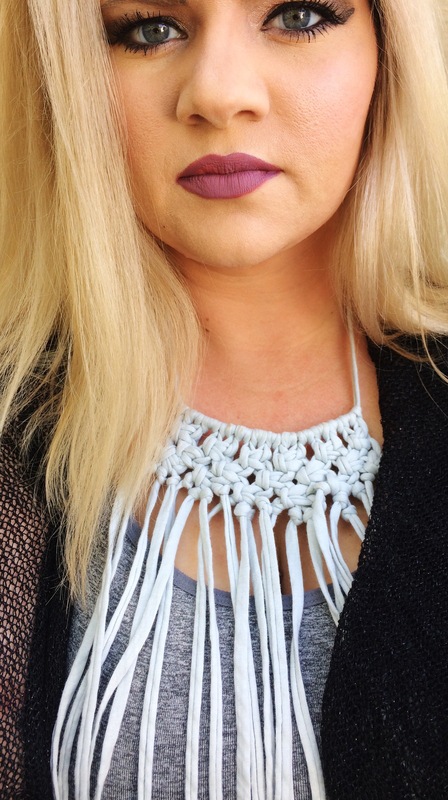 Every once in a while you get one of those pieces you know you will love forever…..and OH MY GOSH I have found another one to add to my ✔️list of loves… This necklace y’all. Its gorgeous. Check it out!!! I love all things handmade, and this necklace shows such beautiful craftsmanship-I can’t quit gushing. Allll the heart eyes over here. If you want one, head over to ETSY and find Warm Fuzzy Designs. Just click the link Here and shop her styles! 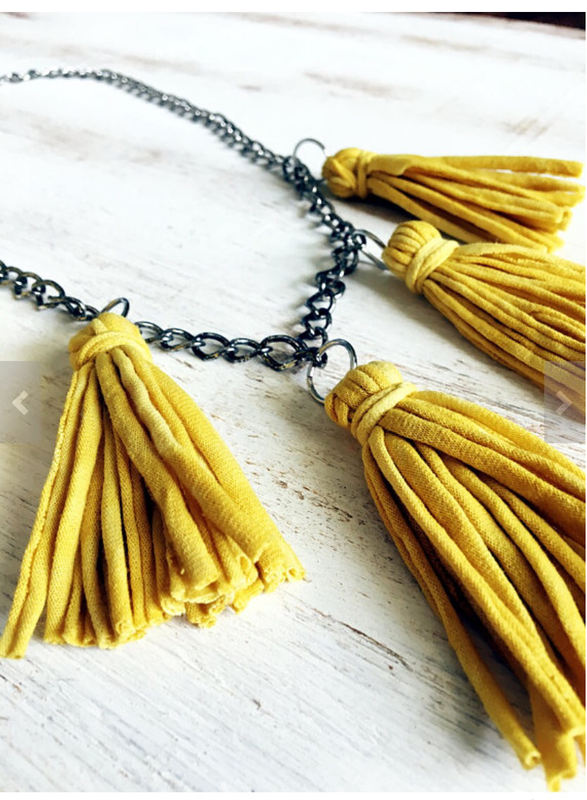 There are a few tassel necklaces I am coveting right now… and this one?? OMG So on trend right now. #adore OMG. So on trend right now. Please head over to her website–the prices are amazing! My gosh Jewelry doesn’t get much more fun than this. And isn’t that what it is about? Dressing us up and making us feel good? Think also about this choker revolution happening–she has some seriously classy ones. Check them out. But really, pretty statement pieces always make me feel that much more put together… and if you aren’t a jewelry wearer, try it out! Start here and find some fun pieces to get you going. Let’s all shop small today people! 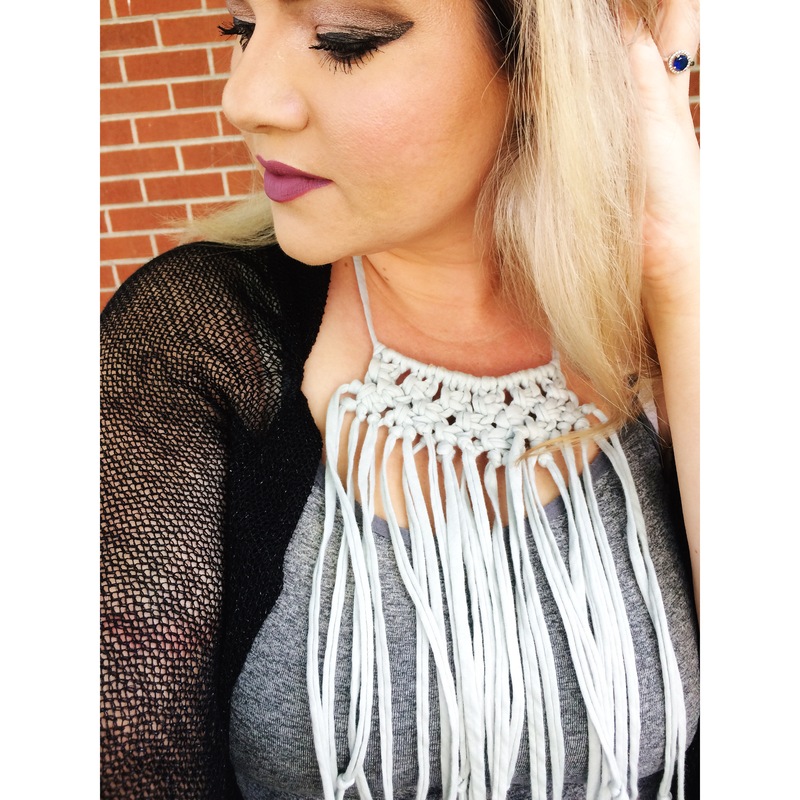 GO order from her fast–she is so sweet to work with on Etsy and loves custom orders.